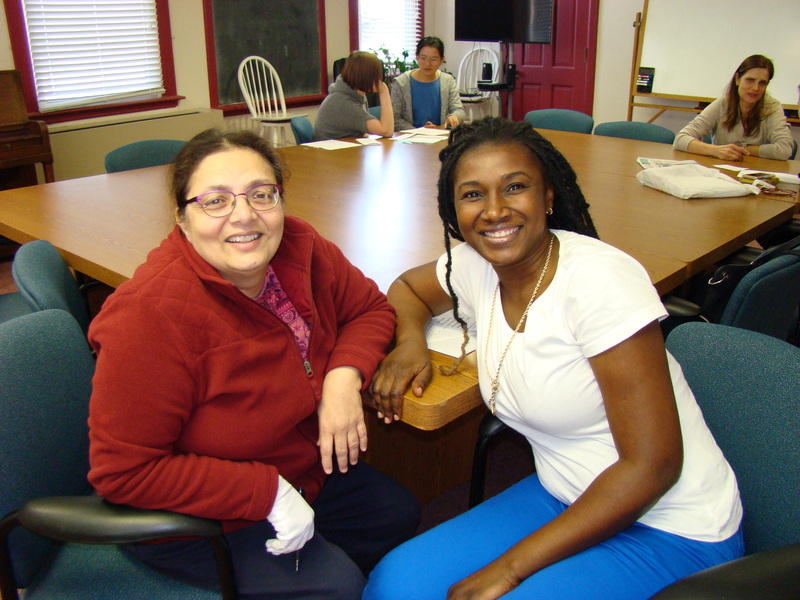 Literacy Action Corps helps functionally illiterate English and non-English speaking adults to develop marketable skills like reading, writing, math, and verbal communication. This benefits them and their children, families, and communities. LAC trains volunteers to work one-on-one with adults to improve basic literacy skills and/or learn the English language. Tutor/student relationships enrich both their lives and help students become more self-reliant, productive community members. Lack of English literacy skills is a big obstacle to success in life and can echo through the generations. LAC helps adults achieve their goals of high school equivalency, better employment, full community participation, and even citizenship. LAC needs volunteers to serve as tutors and help with our newsletter and fundraising. Don't forget to donate through CoMoGives! The annual CoMoGives campaign ends at midnight December 31, so you can still help LAC purchase books and other resources for students. Every little bit will help someone learn to speak, read and write better and thus improve their life. We appreciate your support and wish you a very Happy New Year! LAC is in the news! The Columbia Missourian highlighted LAC and the Career Center as two local sources of English tutoring in a front-page article. "We want them to integrate into Columbia society, which is hard," said Dan Murphy, a teacher at the Columbia Area Career Center. Literacy Action Corps updated their cover photo. We appreciate your help and will put it to good use for materials that help students improve their literacy skills. Thank you!